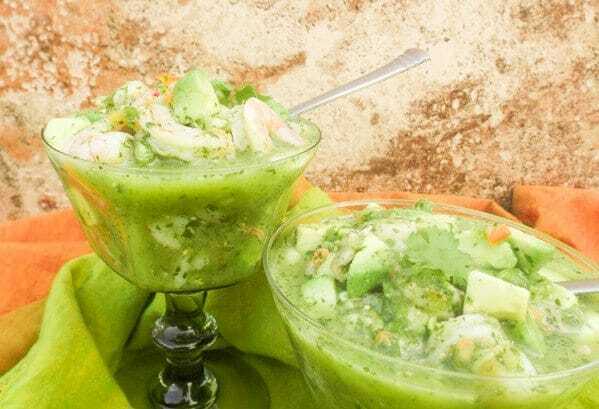 Ceviche Verde-Green Ceviche | Mexican Appetizers and More! Ceviche Verde-Green Ceviche is one of my favorite appetizers. 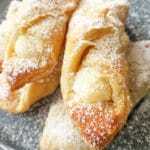 It’s so light and superbly delicious. In addition, it’s healthy and refreshing. We should all be having Ceviche Verde-Green Ceviche everyday! You will love this dish today, tomorrow and the next day too. Ceviche is normally small pieces of raw seafood cooked and marinated with limes or lemons. The acidity cooks the seafood. You can add red onions, white onions, tomatoes, avocados, cucumbers, cilantro, scallions, olives and chili peppers. Whatever you prefer in your ceviche, you can add. You can even make a vegetarian ceviche! Here is my version on a delicious vegetarian ceviche recipe, Mushroom Ceviche. 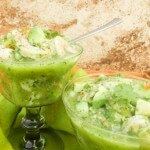 This Ceviche Verde-Green Ceviche is a shrimp ceviche and is made with one key ingredient. Tomatillos! Tomatillos and cilantro are what gives the ceviche that green color you see. Tomatillos originated in Mexico and are considered to be the “mexican tomato.” Likewise, tomatillos are also called “tomate verde” or green tomato. Shown below, they have a green husk that covers them as they grow. As the tomatillo starts to ripen it will break through the husk. When purchasing tomatillos for this ceviche verde-green ceviche recipe, keep in mind to look for the husk to be green and not brown around the tomatillos. The husk has to be green. 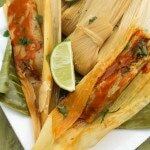 If the husk is brown, it may indicate that the tomatillo is ripe and is better useful in other mexican dishes. Normally, these may or may not be green inside. Tomatillos can be green, yellow, red or purple. 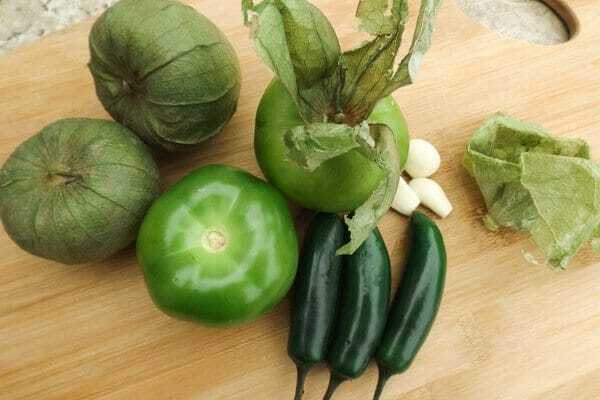 You will find tomatillos in your produce section, usually beside the jalapeños and serrano peppers. Like I said, I use tomatillos quite a bit, especially since I make a lot of salsa verde (green sauce). Salsa verde also is another recipe that uses tomatillos as its main ingredient. You cannot make green sauce without these babies! Tomatillos, also have a tartness to them that enhances the flavor in a Ceviche Verde Recipe and with all the other combination of ingredients, this appetizer is a winner! The cilantro, garlic, serrano peppers, habanero peppers, scallions, limes and avocados…Mmmmm… Mmmmm…SO GOOD! If you’re not a fan of spicy foods, do not let the fact that I said habanero and serrano peppers in that last statement scare you. Let me explain, for some reason acidic liquids such as lime juice weakens the heat in a chili pepper. As a matter of fact for this Ceviche Verde-Green Ceviche, I used 2 habaneros and 1 serrano and yet I didn’t feel the heat. Side Note: Did you know that June 28th is El dia del Ceviche or The Day of the Ceviche? Okay so lets get to making this delicious Ceviche Verde-Green Ceviche! 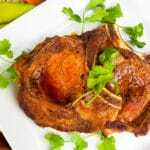 One more thing, if you let it marinate overnight, it tastes even more delicious! okay, I can’t pick, they are all my favorites! Peel and devein shrimp and place in a plastic bowl. 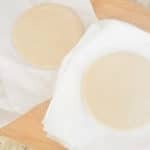 Place in the refrigerator until ready to use. Remove husk from tomatillo, rinse and quarter. Place all in a blender or chopper and blend until smooth. Pour all the liquid into bowl with shrimps. 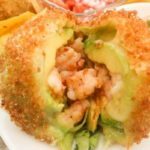 Remove pit from avocado and cut into quarter inch pieces. Add to bowl and refrigerate for a few hours or better if marinated overnight. Add salt , pepper and finely chopped habanero, serrano peppers when ready to serve. Serve in small glasses, shot glasses or martini glasses. Serve with tortilla chips or by itself. Enjoy! Note: Serves 4 or more if served in shot glasses. Best if marinated overnight so flavors fully blend and infuse. Do you have any favorite ceviche recipes of your own? Let me know!